Bad bots make the internet a fundamentally unfair place. Nowhere is this more clear than during ticketing onsales. Online ticketing organizations have found themselves on the front lines of the battle against bad bots. At Distil Networks and Queue-it, we think there’s a better way to bring fairness to ticketing. It is possible to keep ticketing in the 21st century while ensuring tickets get in the hands of true fans. Stakeholders from politicians to musicians to fan alliances are clamoring for fairness in online ticketing. 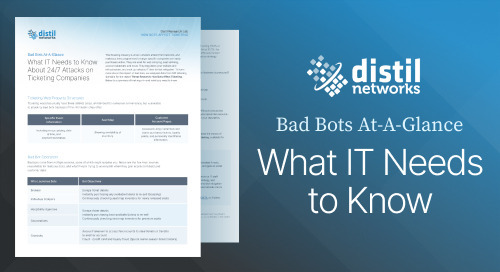 Organizations that don’t forcefully battle bots do so at their own peril. 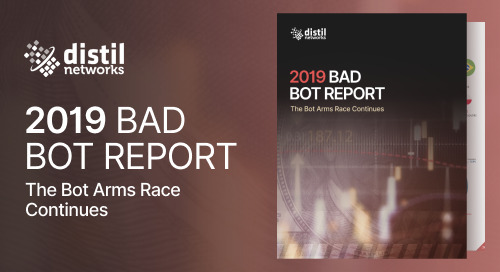 We believe that ticketing organizations can and should be the leading defense in the ﬁght against malicious bots.